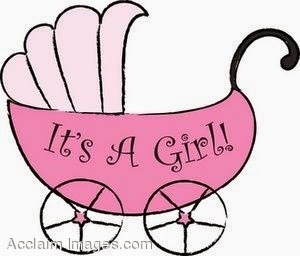 Congratulations – A baby girl! Our best wishes go to Fiona and Seba Illingworth who welcomed their newest addition to their family. It was lovely to catch up with all the parents who came along yesterday afternoon for our community get together. Thank you for taking the time out of your busy day to meet the teachers and other parents in the local community. this is for Y4-8 and will be held at MBAS next Thursday 19th February. If you could provide supervision and transport on the day, please fill out the form at the end of the newsletter. We need to leave Coroglen School no later than 9.30am. Don’t forget water bottles, lunch, hat, sunscreen and an extra towel (for those swimming in more than two races). Individuals or teams for Y5-8 can enter the Thames Valley Triathlon at the Cooks Beach Reserve on Wednesday 18th March. We will have more information next week or you can check the Thames Valley Primary School’s website www.sportsground.co.nz/tvpssa if your child is interested in participating. Everyone is welcome to join in the fun for a friendly day our down the river on Saturday 21st February. Build a raft with your family, friends, class, team, business etc and come be a part of the 40th annual raft race. Assemble at Te Kauanga Wharf at 10am, depart 11am. Finishes at the reserve between the Marina and Boat Parking Lot on The Esplanade, Whitianga then wind down with a sausage sizzle and drinks. Kayakers – while you can’t win the race, you are more than welcome to join in the fun. Any questions call Amy 866 3134. 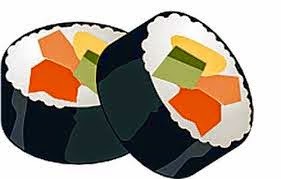 Please place your sushi orders on Friday for Monday lunches. Available are salmon, tuna or chicken for $5 each. Thank you to all the parents who attended the fundraising meeting last night and thanks also to Craig who came along to update everyone on our major fundraiser for the school – the Trail Bike ride. There will be an update in next week’s newsletter about the trail bike ride. The next Board of Trustees meeting will now be held on Wednesday 18th February at 3.15pm in the staff room. All are welcome. This year Jenny Upsall is having a break from reading recovery and Jean Saunders will be covering for her this year. Jenny Upsall will be in the junior room for the morning block between 11am and 12.30pm for reading and maths time. I can/cannot provide transport on Thursday 19th February to MBAS. I can take ______ other children not including my own child/ren. I will be available to help with supervision during the day.